Meghan Ripple, a parent at Henry, speaks at the School Board’s Oct. 18 meeting on the boundary process. (Updated Wednesday at 4:10 p.m.) As the heated process of setting new boundaries for eight South Arlington elementary schools lurches forward, parents at Patrick Henry Elementary are trying to deliver a single message to school officials: don’t break up the community in the move to Alice West Fleet Elementary. Fleet’s planned opening next fall precipitated this process of drawing new boundary lines for the schools in the first place, with most Henry students set to move to the new school and the Montessori program currently housed at Drew Model School will move to Henry’s building. Parents at Henry have long sought reassurances from Arlington Public Schools officials that the community would move as one to Fleet, without any neighborhoods being redirected elsewhere. The school system has released two different maps for public scrutiny over the last few months, and both have so far stuck firm to that request. That fact was not lost on roughly a dozen parents who testified at the School Board’s meeting last Thursday (Oct. 18). Though the new boundary proposals have stoked outrage among families at Drew and Abingdon alike, they’ve largely satisfied parents with kids set to make the move from Henry, who are urging school leaders to stay the course throughout the remainder of the boundary process. Erin Wasiak, co-president of the Henry Parent-Teacher Association, similarly praised the Board for keeping families along the Pike together, noting that the road acts as “our ‘Main Street’ and our town square.” Even still, she would note that the school system’s latest proposal would divert a few neighborhoods on the east side of S. Courthouse Road to Hoffman-Boston instead, a change that would only affect a relatively small number of students, but still struck Wasiak as a bit concerning. 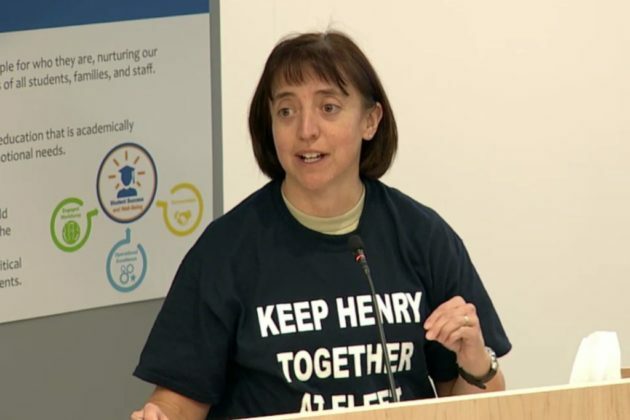 “We’re as close or closer to Fleet as we are to the school you want to put us in,” Nicole Hallahan, a parent of a current Henry student set to move to Hoffman-Boston, told the Board. Nevertheless, between the changes with the Henry boundaries and the proposal to send some South Fairlington students to Drew instead of Abingdon, parents say the county hasn’t always managed to meet that particular goal. 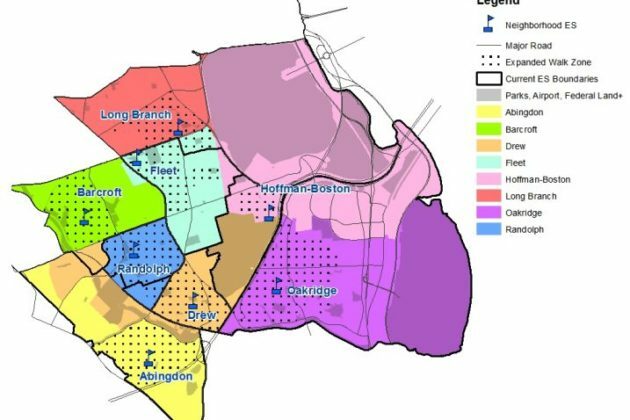 APS planners only proposed those Fairlington changes in the first place to create a more even spread of students eligible for free and reduced price lunch, a measure of their families’ economic means, at schools across South Arlington. Some parents worried too many economically disadvantaged students were being lumped in at Drew, and Henry parents also urged the Board to keep the issue as a prime focus throughout the rest of the boundary-setting process.